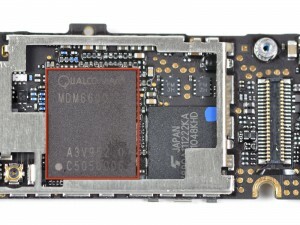 The introduction of the iPhone 5 was also the introduction of Apple’s first truly original Application Processor design. The iPhone 2, 3G and 3GS all featured designs by Samsung. The iPhone 4 introduced the A4, which was closely based on the Hummingbird Cortex-A8 core developed with Samsung and Intrinsity, again, not a truly Apple design. 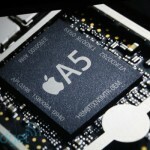 The iPhone 4S introduced the A5 (and the A5X used in the iPad 2). 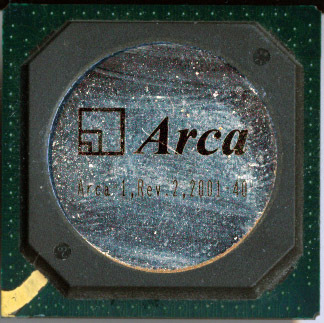 The A5 is based on the ARM Cortex-A9 MPCore, a standard ARM design, albeit with many added features, but architecturally, the processor is not original, just customized. ARM provides cores designs for use by developers, such as the Cortex-A9, A8, etc. These are complete designs of processors that you can drop into your system design as a block, add your own functions, such as a graphics system, audio processing, image handling, radio control, etc and you have your processor. This is the way many processor vendors go about things. 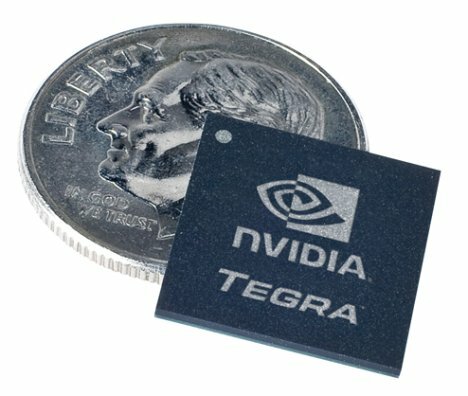 They do not have to spend the time and effort to design a processor core, just pick one that meets their needs (power budget, speed, die area) and add any peripherals Many of these peripherals are also licensed as Intellectual Property (IP) blocks making building a processor in some ways similar to construction with Legos. This is not to say that this is easy, or the wrong way to go about things, it is in fact the only way to get a design to market in a matter of weeks, rather then years. It allows for a wide product portfolio that can meet many customers needs. 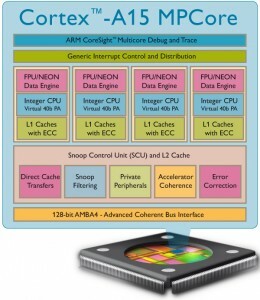 The blocks are often offered for a specific process, so not only can you purchase a license to a Cortex-A9 MPCore, you can purchase one that is hardware ready for a TSMC 32nm High-k Metal Gate process, or a 28nm Global Foundries process. This greatly reduces the amount of work needed to make a design work with a chosen process. 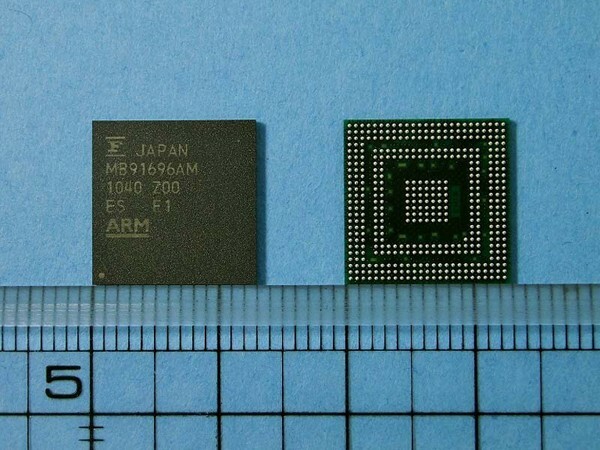 This is what ARM calls the Processor Foundry Program. Now the UBM Techinsights and iFixIt have completed their teardowns of the iPad 2, and benchmarks have been run we now know that the A5 is in fact a dual core, made by Samsung, and clocked at around 900MHz. 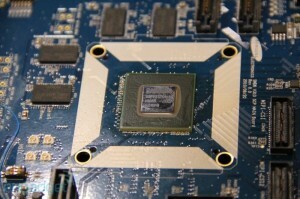 It also includes the PowerVR 543 dual core GPU as we suspected in our previous post. 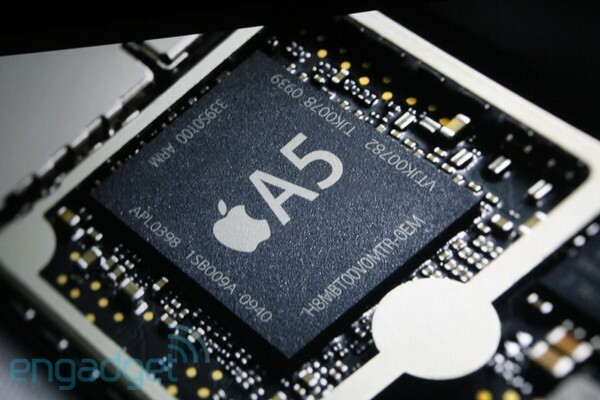 Also we now have an actual image of the chip, rather then the photoshopped one Apple used in their presentation. The iPad 2: Apple joins the Dual-core crowd. Today Apple announced the iPad 2, which unless you are living in a cave, you likely have heard about more then you wish already. 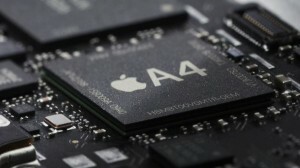 The iPad 2 debuts the next evolution in Apples own ARM processor. The A4 (which was a single core 1GHz class ARM Cortex-A8 made by Samsung) is out, and a dual core replacement is in. Details are thin until a proper tear down is done, but it is most likely a 1GHz dual core ARM Cortex-A9 with a dual core PowerVR 543 replacing the single core PowerVR 535. It is most likely fab’d again by Samsung. Apple’s press shot during their presentation is NOT an A5, the PR folks at Apple simply Photoshopped the original press shot of the A4 from last year. Note the date codes on the chip are 0939 and 0940 (sine their is 2 dies in it), which is late 2009. Apple also made the somewhat deceptive remark that the iPad 2 is the first dual core tablet to ship ‘in volume.’ HP’s Touchpad runs a dual core Snapdragon and is shipping ‘soon.’ LG is shipping their tablet this month with a very capable Tegra 2, and Samsung will follow with the Galaxy Tab 10.1, also Tegra 2 powered. 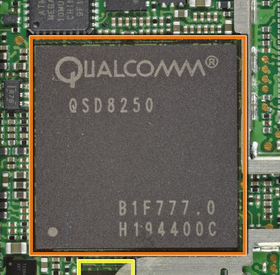 RIM’s Playbook which is in beta, used a TI OMAP 4430 dual core Cortex-A9. 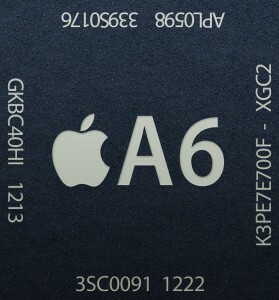 This puts Apple right in the mix of the dual core frenzy that will playout this year. 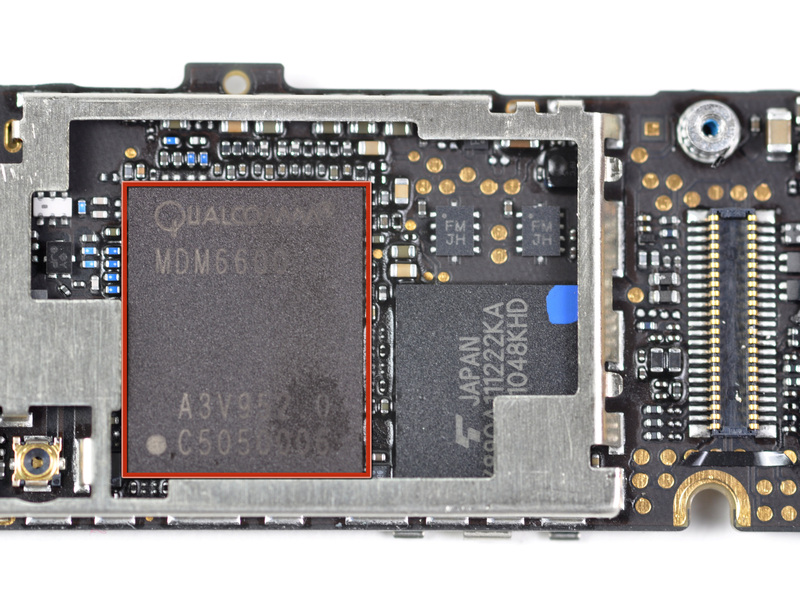 We’ll update the photo as soon as someone (likely the folks at iFixIt) get and tear one down.